Dangerous Presence – What About Bob? 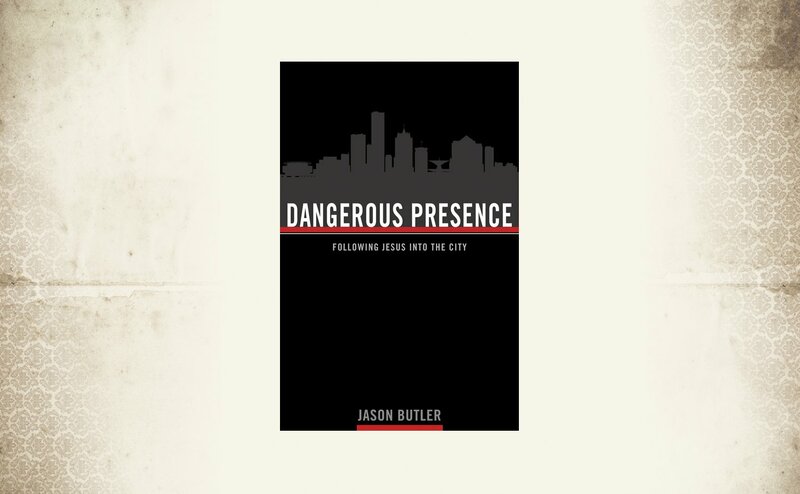 This post is the second in a series discussing the book Dangerous Presence: Following Jesus Into the City by Jason Butler. You can read more about or purchase the book here. The insight Bob shares with Butler over breakfast one morning hit me like a ton of bricks. How often have I done this exact thing? I go on a trip and I pray for God’s blessing and protection. I plan an event and I ask for God to bring people to it. I coordinate a program and ask God to bring the participants and the volunteers. Bless me! Bless me! Bless me! Butler writes about a similar experience of coming to God with all his plans and dreams, all his vision as he struggled to plant Transformation City Church in the inner city of Milwaukee. We are often seduced by the lie of self-preservation, sometimes to the point of trying to wheel and deal with the One who knows our every thought before we dare to whisper it and our knows the root of our every need. Yet it is only when we surrender ourselves, our wants, our dreams, our plans and our desires that we can truly identify the siren song of the Liar for what it is. This is the intoxicating, mind numbing, soul atrophying song of the Liar. Listening to this song leads us to believe the most valuable thing we could do would be to protect, promote and make much of ourselves, because God certainly does not care nor is God at work. When we identify the Liar’s song as what it is – a terrible lie from the pit of hell – we can begin to have our ears tuned to hear another voice. The voice of God and the voices which God hears. “In that moment, I started following Jesus. Scripture tells us over and over again that God hears the cry of the oppressed. God sees the misery of people. God hears. God sees. God responds. And God uses us to do it. For Butler, he heard the cry of the oppressed in Milwaukee. According to the 2010 census, Milwaukee is the fourth poorest city in the U.S., it is the single most racially segregated, it has a 55% unemployment rate among African-American men, and the high school graduation rate is just scraping above 50%. Stats like these are what brought me to Milwaukee. Ben and I heard the cry clear in the mountains of West Virginia. Since we moved here though, the cry has gotten closer. It’s gotten personal. It’s up in my business. It sounds like my neighbors, my friends. I’ve had single mom’s who work first and third shift and take classes in their “spare time” try to sell me food stamps so they could buy their child diapers. I’ve walked with fifth grade boys who are talented and passionate, but who cannot read. I’ve struggled with single mothers being evicted from their homes with three days notice, all because they refused to pay their rent until their landlord fixed the roof that was literally caving in on their infant child’s bedroom. …and I would have once called her “irresponsible” and accused her of not caring for her children. But first it will break your heart, scare you half to death and make you angrier than a bull. The write-offs become neighbors. The drop-outs become friends. The gang members tell their people to stay away from you, because in some weird way you’re their family too. You get broken into, things get stolen, your space gets violated, but you realize it doesn’t matter. Because you can’t preserve yourself, only God can do that. Because you’ve stopped listening to the Liar. And instead all you hear is the love song of Creator singing the high notes over you and the cry of the oppressed, a dissonant harmony that aches for resolution. And that compels you. That keeps you up at night. That keeps you rooted when the world tells you to run away. That “those people” aren’t even worth reaching.